By now everyone in the immediate bridal party should know their roles and responsibilities, especially after having had the wedding rehearsal. However, there are other people that will be required to play a part in your big day that need to be confirmed. 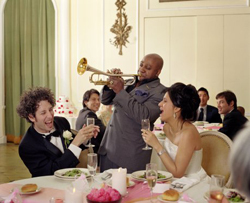 You may be having a very formal wedding and therefore as part of this you will have a master of ceremonies. This along with many other roles should be confirmed to make the wedding run smoothly. Everyone that is giving a speech or a reading should also be aware of their duties on the wedding day. You may have organised some special entertainment by family or friends which will need to be confirmed like any other part of your wedding. 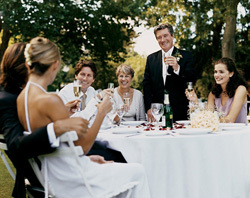 Make sure everyone knows the events and order of proceedings for the wedding and reception. This way everyone knows where they should be and when they should be. Although you may not be paying these people to perform some of these roles, you should treat them like any other supplier.